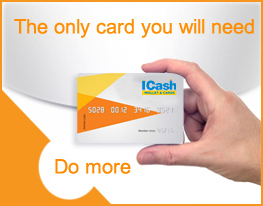 Increase your sales with iCashCard. This revolutionary card works much like a debit or credit card, only with a lot more benefits to your customer as well as you. Thousands of iCashCard users will become your customers. By partnering with us and accepting iCashCards, you can include one more payment option for your customers. Timely payments will be settled timely to your bank account. 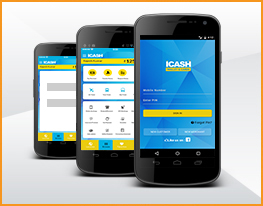 Unlike credit cards and debit cards, that requires you to have an internet connection, computer and printers, iCashCard comes with an of innovative option of mobile payment, along with the usual credit card like swipe machine. There by helping smaller merchants to reap benefits from smaller transactions.